Mick Schumacher recruited to Ferrari Driver Academy? 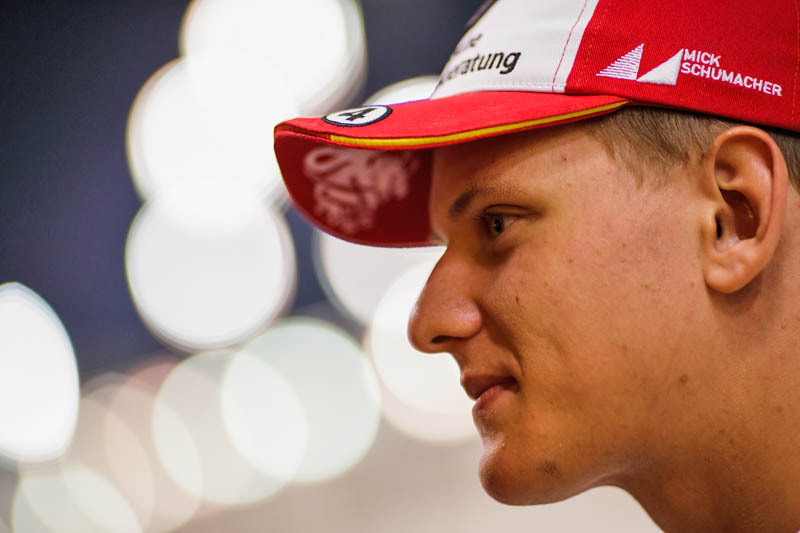 An increasing number of reports claim that Ferrari has recruited Mick Schumacher, son of 7-time world champion Michael Schumacher, to its young driver programme, the Ferrari Driver Academy (FDA). As has been the case for the last couple of years - and will hopefully change following the departure of Maurizio Arrivabene - Ferrari is saying nothing, its communication department refusing to respond to requests for clarification. However, the increasing strength of the claims suggest that the core of the story is correct. Coming off the back of his European F3 title win, where he scored eight wins, seven pole positions and 14 podium finishes, this season sees Schumacher (19) move up to F2 as he remains with Prema Racing. Even before securing his first major title, Schumacher was the subject of much speculation in terms of F1, though his only connection to a manufacturer was the fact that he used Mercedes engines in F3, his father having driven for the German team for three seasons when it returned to F1 as a constructor in 2010. In recent month, even before the youngster had secured the F3 title, team bosses were being asked about Schumacher, but though clearly aware of his talent - and his genes - most were keen not to put too much pressure on him too early. "The most important thing is to let him grow without giving pressure," said Arrivabene in Singapore. "His recent results were very, very good and I wish to him a great career. "With a name like this, that wrote the historical pages of the Ferrari history, I think the door at Maranello is always open," he added, "but without burning the step, that is, a Schumacher family decision but let the guys have fun. "I think there is a huge step between F3 and F1," warned Fred VAsseur, who has worked with countless upcoming young drivers over the course of his career, "and with the small number of test days we have during the winter, I think it's... I don't want to say impossible because we will see, but it's quite difficult to do the step and it will make sense probably for him to do Formula 2 or something like this. "But he could have a link with a Formula One team, he could do some FP1... There are many ways to prepare for F1." Speaking in Austin, Lewis Hamilton denied that the family name will be a burden for Mick. "I don't think it will be a burden," he said. "I think naturally for any of the champions when they have youngsters come through, naturally Michael is named the greatest driver of all time, he's got the most titles, so there will one hundred percent be a Schumacher back in Formula One, partly because of the name, but secondly because he's doing a great job. "He's obviously got a lot of talent as his Dad had, just like Keke and Nico, just like when Fernando has kids I'm sure an Alonso will be here again. Even if I have a kid who wants to race and even if he's no good he can make it Formula One because of the name. "But no, he's doing a really great job and he's a really great kid as well," he added. "He's come to... and been a part of our team a couple of weekends, I think it was last year, very attentive. He's got a great talent as his Dad had so I don't think it will be a burden in my personal opinion. I think it could be great for the sport." If the reports are correct, Schumacher would make his F1 debut this year, most likely at one of the in-season tests, though he would also spend time in the team simulator as the Italian outfit seeks to replace its former test drivers Daniil Kvyat and Antonio Giovinazzi. This season sees Charles Leclerc, a former member of the FDA, partner Sebastian Vettel.